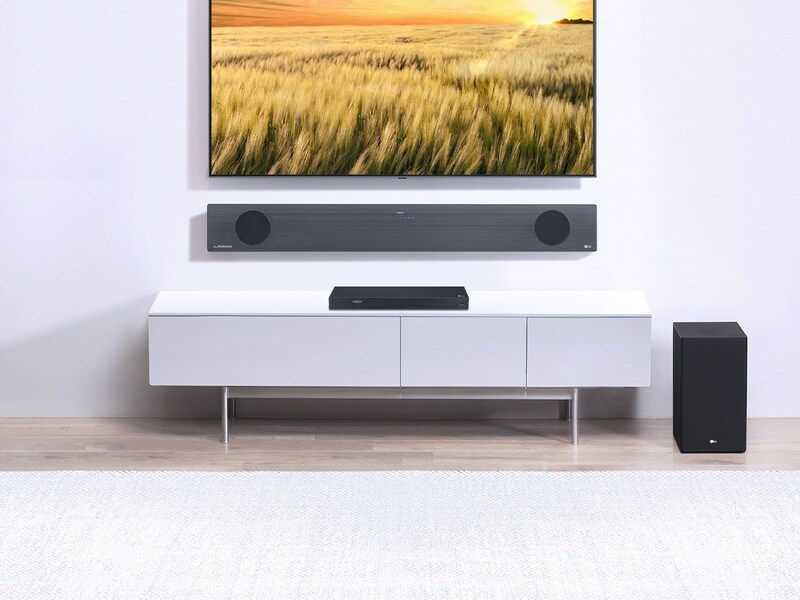 LG Electronics USA is launching the 2019 LG sound bar lineup, featuring the award-winning LG SL9YG and SL10YG. Availability starts the week of April 14th at LG-authorized dealers nationwide for all models, with the exception of the SL9YG which will follow in May. Unveiled at CES® 2019, LG's new sound bars deliver superior surround sound quality through a collaboration with Meridian Audio1 while offering a sleek, harmonious and modern aesthetic that seamlessly matches with the premium design of LG OLED and LG NanoCell TV's. Technology from the renowned experts at Meridian Audio combines advanced digital signal processing and hardware design to create a sound field with greater height, width, and depth. LG's premium sound bars (models SL10YG, SL9YG and SL8YG) feature Dolby Atmos® and DTS:X to truly immerse users in the movies and music they love with multi-directional sound. The lineup also offers the convenience of AI smart connectivity and voice recognition with the Google Assistant built-in so no extra device is needed. The award-winning SL9YG supports both stand and wall mount orientation, so it fits perfectly with any interior design. When mounted on the wall, the SL9YG automatically senses the proper orientation and adapts to optimize the sound output. The SL9YG's Slim Wall-Mountable Design, stand mode features 4.1.2ch Dolby Atmos with up-firing speakers, while in wall mount mode, it automatically adjusts to output 4.1.2 ch Dolby Atmos utilizing down-firing speakers. "Our 2019 sound bars are the most innovative and best sounding models LG has designed to date," said Tim Alessi, head of home entertainment product marketing at LG Electronics USA. "This combination of exceptional sound and smart AI connectivity takes music and movies to a new level of home entertainment." Visit Tech News 's profile on Pinterest.